S**T! Bet that go the heart going? Manufacturing fault or install error??? 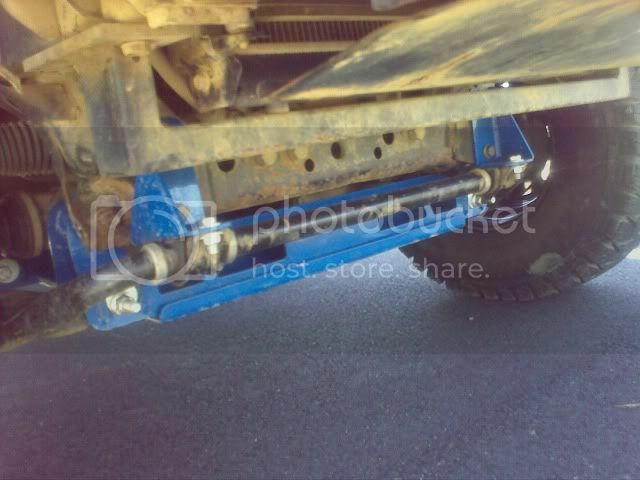 Thats not good...Doesn't look like a factory upper A arm either? Jeepers, not good advertising for the PRG setup. tommy222220_0 wrote: S**T! Bet that go the heart going? Yep sure did when i got out and saw the wheel on the groud all i could think about was if i was on the road at speed or had i have been going 40 kmph i could ended up down gully on the left approx 3m. The photos dont show that the only things holding the front wheel to the 4x4 is the steering arm and about 3mm of the steel brake line fitting. 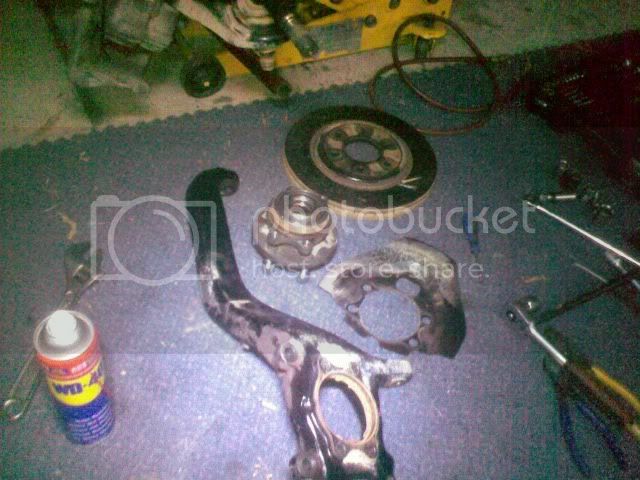 so no brakes, just handbrake no 4x4 as abs sensor destroyed ,the bottom ball joint ripped out of knuckle . It is definatly manufacturing/design i have had several suspension experts look at it and they reckon that the design doesnt make sense . If you look at the factory uca the joint is held in via a circlip on top and a steel ring around underside so the circlip has little to no load. The PRG one has the circlip on underside taking all the force and the steel ring on the top side. PS insurance wont cover as upper control arm is not ADR approved even though i listed the modification on policy. IF IT’S UNBREAKABLE IT’S UNDERPOWERED! Shonky wrote: Jeepers, not good advertising for the PRG setup. I have had several experienced professional people look at the problem but no definite answers as yet. I spoke to Greg from PRG he was very helpful and understood my concerns. Greg has assured me he will continue to assist me with this situation. I think it’s good that PRG fully backs its product even in Australia as many others wont , during our discussion some ideas were discussed as to why the incident occurred which I still have to fully investigate. Basically it could be related to the heavy duty front springs and the spacer combined or it could be just be a one off bad luck freak event. 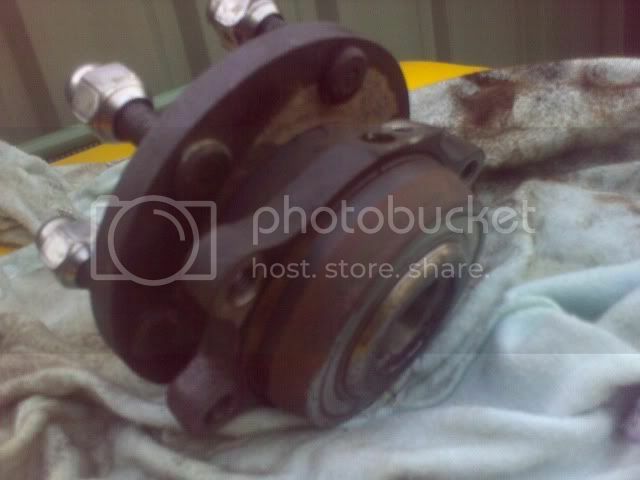 My latest problem has been the front wheel bearings which are only sold as part of the hub. Bloody pain in the a** instead of costing around $60 a wheel its going to cost $889+gst each from nissan what a joke.why did both mine fail within 2000ks of each other? I cant imagine that would be a good ride i would imagine you would feel most bumps. as far as rolling, it wouldnt help thats for sure, shocks and brake lines arnt that expensive i would definatly look at having them replaced before somthing is damaged as shocks will be maxing out pretty hard. Holy crap what do you do that causes that many breakages haha. And I thought I beat on my D40! ANy update on the PRG situation? I assume you gotthe 3inch lift? Thats what I was lookin at as they sound good on frontierforums, but to be honest youre experience has scared me a bit. Hello d40, what have you done in regards to frontal protection for your lower radiator? I ask, coz in the last 12 months I've seen three New model Pathy's (almost identical front end to the Navara) floral themselves when they've smacked a bit of sand on Stockton. This usually happens on adip, bottoming out on the bottom of the slope or knocking the crest off the top of a dune. This results in the radiator copping a healthy shunt, thus breaking the mounting tabs out of the moulded radiator, thus looding coolant, and on one occasion secondary damage to the fan and fan strike to the radiator. All three required towing out for recovery. Just wondering If you have some sort of body armour or know of any good designs. larcie wrote: Hello d40, what have you done in regards to frontal protection for your lower radiator? Hi larcie lucky for me i have some great friends who are experienced 4wders so after a few day trips they pointed out the possiblity of radiator damage so i made a brace which is strong enough to put a trolley jack under and lift both front wheels off the ground. it bolts straight to the existing threaded holes either side of the radiator looking up . you can sort of see it in this pic. The standard tin cover still fits on but i was planning to make a 3mm on to be sure. as per usual i havent done it yet so the pics show the gap where it should be. VictorT wrote: Holy crap what do you do that causes that many breakages haha. sorry VictorT i missed your post. No update on the PRG uca's i ended up getting macquarie 4x4 to fit calmini kit so i can run 285's.better suited my needs. I have noticed a few others using the PRG setup without problems ,i could have been the unlucky one. 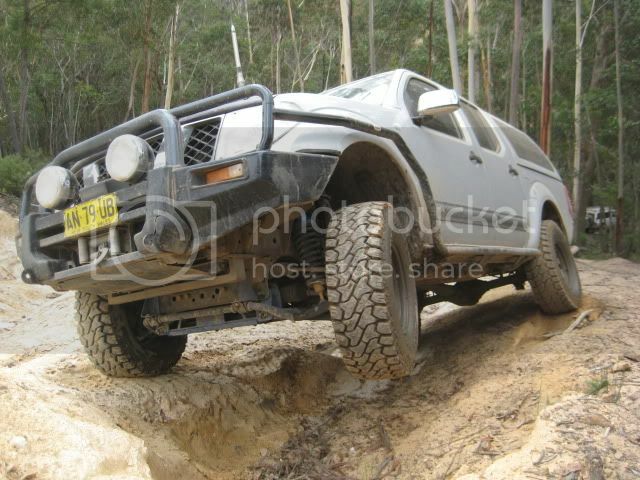 I think the reason it breaks could be my give it ago attitude when most wouldnt even try.Plus most the k's are off road its not a daily driver so almost every time it gets driven it ends up in 4wd. It also has to be noted its not realy a heavy duty 4x4 like a patrol or cruiser though hence its easyer to break. I have noticed since lifting it and fitting bigger tyres it does cope far better in the rough stuff as the wheels spend more time on the ground and the chassis has only hit twice so far wheres before it would hit 15 times a day.